At least two CAAMP members have now initiated formal complaints against RBC, alleging the mega bank violated no less than three rules set out in the association's code of ethics. While one CAAMP member will file his own formal complaint against RBC today, another is asking all AMPs to sign their names to his. 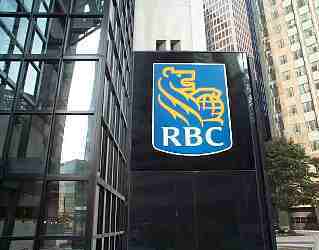 Both grievances argue RBC -- a lender-member of CAAMP -- erred in allowing an employee to circulate inaccurate information about its fellow members. Williamson’s complaint – as well as another, also being sent off today -- accuses RBC of having violated all three rules. It also answers CAAMP President Jim Murphy who told MortgageBrokerNews that the organization needs a formal complaint in order to consider censure. On Monday, Murphy declined to confirm what if any complaints have now been lodged. “We do not discuss any complaints publicly,” he told MortgageBrokerNews.ca. Williamson was one of the first to expose the RBC document, posting it on his blog website, www.gregwilliamson.ca. In it the RBC employee outlines the differences between mortgage brokers and specialists. “Brokers will farm out your mortgage to a number of companies and then will set you up with a financial institution based on only the lowest rate, no other factors,” reads the undated document -- “Understanding the difference between mortgage specialists and mortgage brokers.” An RBC logo and the name of one of its British Columbia mortgage specialists appear on the flyer. The mortgage specialist isn’t a CAAMP member, ruling out any direct action again her. While RBC has issued a statement distancing itself from her document, it hasn’t indicated what if any disciplinary action the specialist faces. CAAMP’s formal complaint process could see the bank respond in writing as early as the end of May, but only if the association’s ethics investigator finds the grievances “merit” further investigation. Passing that litmus test, they’re then sent to the chair of CAAMP’s National Ethics Committee (NEC) who will either dismiss the recommendation or opt for a formal investigation. That could trigger a hearing, although the chair could move directly to censure or fine RBC.